Pair students up and give them the game board. Have each student pick a sight word that they are learning for that week. 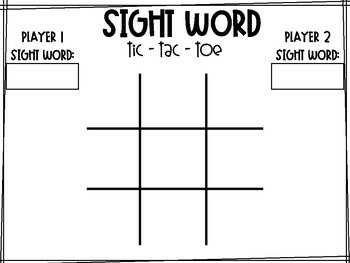 The game is the same as regular tic-tac-toe, except instead of X's and O's, the students write their sight word.